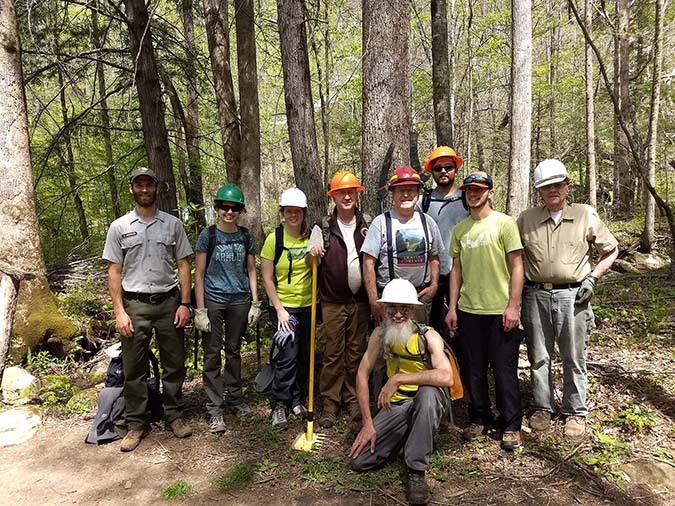 GATLINBURG, TN - Great Smoky Mountains National Park officials announced several volunteer workdays during the month of April on popular trails as the park prepares for the busy summer season. These opportunities are ideal for people interested in learning more about the park and the trails program through hands-on service alongside experienced park staff. Volunteers improve trail in Great Smoky Mountains National Park; image courtesy of GSMNP. For more information about the volunteering in the park, please visit the park website.